When you’re surfing around on the Web to your favorite sites, what is it about them that makes you come back? What MAKES them your favorite sites? Good, reliable information? Absolutely. But you never would have gotten to that great information if they didn’t first gain the most important characteristic a Web site must get from you, and what YOU must get from your visitors… Trust. Trust is essential. Trust is why you didn’t hit the Back button on your browser to go look somewhere else. Gain your visitors trust and they will stay at YOUR site too. The next time you are at one of your favorite sites, think about this as you read down the page. More importantly, do this at your own site. Put yourself in your visitors place. 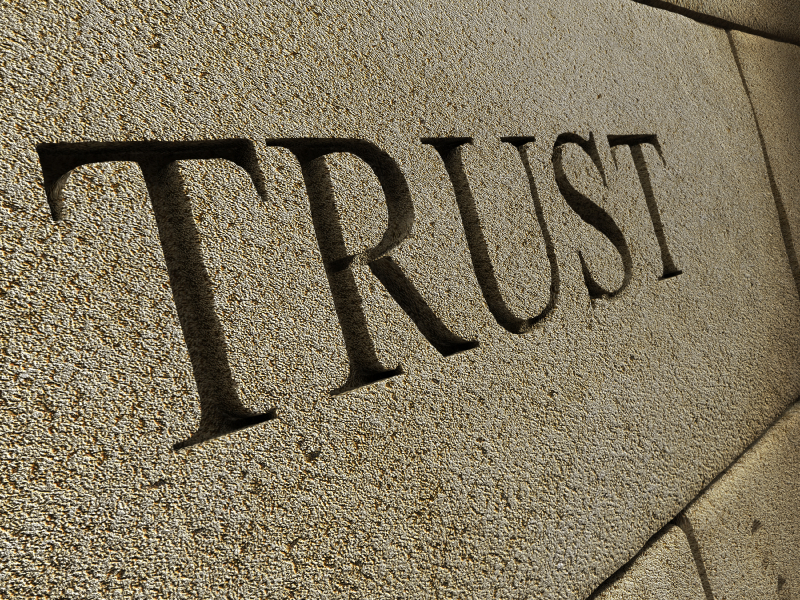 Does your site convey trust? 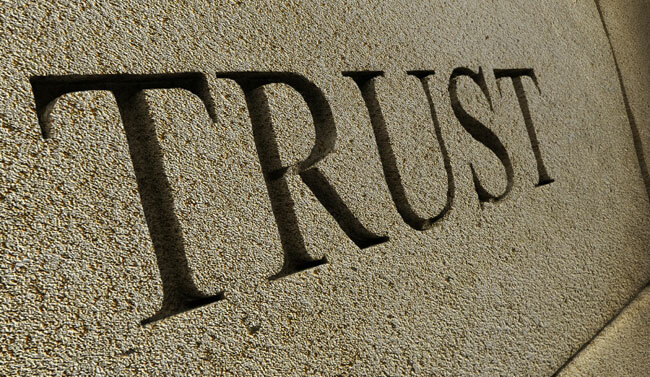 Let’s look at some ways of improving the trust factor with your visitors. 1. Have a clean, easily navigable, well-maintained site. Think this doesn’t have anything to do with trust? Think again. You’ve heard about maintaining your site before, but we need to begin here. I’ll just touch on it quickly. We’ve all been to those sites that seem to make it as difficult as possible to find anything. There’s probably some great information in there somewhere, but they frustrate you by making it difficult to find so you give up and leave. There are also those sites that have dead links everywhere and a statement along the lines of “Last updated: March, 1998.” You and I are not going to stick around to see what they have to offer. Nobody trusts a site that is sloppy and not maintained. A well designed site is a whole other article indeed, but it does have its place here concerning trust. Keep your site simple with clean navigation, regularly test all your links, and the content up to date. 2. Don’t over-commercialize or tell half-truths on your site. When creating the copy for your site, don’t be crass and annoying. This probably seems obvious enough to you. It can be difficult at times though, especially when you have a great product you believe in and are working hard to tell your visitors about it. The KEY is to find the middle between boring and over zealous. Yes, you want to sell products, and you want energy in your copy, but don’t write stuff like “YES!!! MAKE $$$20,000$$$ BY TOMORROW WITH THIS SIMPLE TECHNIQUE!!!! !” in some obscure 48-point font. Exclamation points, dollar signs, strange fonts, and shouting all rolled into one ridiculous statement like this is not going to gain you any credibility with your visitors. They won’t be saying to themselves “Wow! I need to see what this is!”, but rather “Oh, brother!” and get out of there in the blink of an eye. Stay away from becoming like those sites that have 26 banners with flashing lights and animation plastered all over their home page that takes forever to download. Sites that do this do not gain trust, but instead appear like one big get rich quick scheme. Don’t misunderstand! Affiliating with other sites is an outstanding opportunity, but you need to do it right. Work affiliation into your content tactfully and you will gain trust. What about lying or half-truths to try and sell your product? Quite simply, DON’T DO IT! First of all, if you feel that it is necessary to do this, then you have the WRONG product anyway. In this case, create or get a better product. When you have a great product that you believe in, it will translate to your visitors. Don’t be tempted to try and persuade by twisting the truth. Most visitors will sense it. If they don’t at first, they WILL catch you later. You lose credibility (and their return visits), but even more damaging is the word of mouth that can spread as a result of it. I can think of a number of times where I’ve seen an exaggeration on a site (although the site thinks they’ve tricked me) that makes me go “Yeah, right”. I’ll bet you’ve had the same experience. I’ve even seen this on some of the well known guru sites. Be careful, visitors ARE able to sense it. Write hard hitting copy, but do it tastefully. Expound on the benefits of your product sure, just don’t cross the line by being crass or by not telling the truth. 3. Make your web site and your email communication as personal as possible. The first 2 points above are very important, but I consider this the MOST important and effective way to gain trust from your visitors. The most successful marketing gurus online have long know this. They let it all hang out by putting their name, address, phone number, etc. out there and write their copy like an open letter as if they are speaking directly to you. Think this gains trust? You bet! They are able to convey the sense that they absolutely stand by their product and are making themselves as easily accessible as possible. You may not feel ready yet to put yourself out there to that degree, and that’s fine. The important part of this is that you must strive to write copy as if you are talking to a good friend. Don’t attract visitors to your site and then start off with “We are XYZ Company. We are located at blah, blah, blah…” Don’t greet visitors with a corporate like jingle. Talk to your visitors personally first, offer yourself as friendly and helpful, and you will begin to gain that trust. Email is the lifeline of your business. Don’t underestimate its power for gaining trust. Some of you might despise getting customer emails with questions you need to answer. More busy work right? You’d rather be spending time on something else. Don’t look at it that way. View it as an opportunity to gain confidence and to develop lasting relationships (which means repeat visits to your site, and positive word or mouth). As with your site, compose your email messages to customers as if speaking to a friend and strive to respond as promptly as possible. Don’t send a form letter like response, take the time to write back to them individually (write your autoresponder messages with a personal flavor as well). Also make sure that your message is formatted and spelled correctly. Maintain that trust by paying attention to the small details! Create your web site content and write your email correspondence in a friendly, inviting manner rather than using the usual cold, corporate sounding jargon. Use the above 3 points as a guideline for gaining credibility with YOUR visitors. Keep your site well maintained, be truthful with your copy, and speak to your visitors personally and you’ll be fine. Don’t forget that honesty really IS the best policy. Be honest and you will gain that trust that is essential to your success! Learn how to earn the trust of your website visitors, so that your site will be one that they will visit more often than others, and come back to your site.